It’s time for the final installment in our Budget Disney Vacation blog series! A couple weeks ago, we covered the first big expense in any Disney vacation: the trip. In that post, we talked about how to save money by choosing the right travel option, searching for deals and being prepared. Then in our second post, “Part 2: The Stay,” we walked you through how to save money on Orlando accommodations. Well, we’ve arrived at the most important part of any Walt Disney World trip: the park itself! Today, we’ll offer some of our top tips on how to stretch your dollar further during your day, or days, at the Disney parks. Pack your own food—and water bottles. Disney World meals can be delicious, but they are undoubtedly expensive (as with most things at Disney) and can be a huge damper to your budget Disney vacation. A much better idea is to eat breakfast in your vacation rental and bring small sandwiches or snacks to get you through the first half of the day. Then you can make the decision to either eat one meal (which can usually be shared with someone else) inside the park or eat dinner somewhere else more affordable. 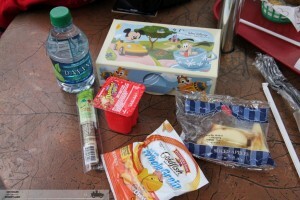 It may come as a surprise to some, but Walt Disney World has a pretty open policy about outside food and drink, so you can usually bring whatever you like. Limit the souvenirs you buy at the park—or buy them elsewhere. There are an insane amount of souvenir shops at Disney’s various parks. Shirts, hats, glasses, pins, toy and other things abound, and most will cost you a pretty penny. 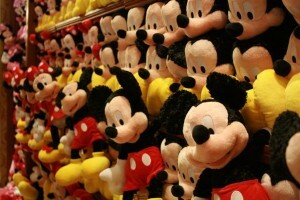 While there are plenty of cheaper little knick knacks to be found inside the parks, if you want to realize your budget Disney vacation goals, we recommend searching online for the larger stuff (Mickey ears, stuffed animals) or looking around the Kissimmee area for gift shops that sell official merchandise at discounted prices. Buy them before your visit, and your kids can wear their Mickey (or Minnie) ears during your day at the park. 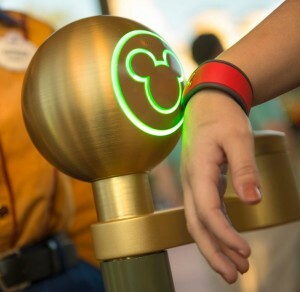 When your children meet Mickey, Buzz Lightyear or Goofy, they’re almost guaranteed to want an autograph. Disney’s in-park autograph books can (surprise!) get a little pricey. A homemade autograph book is a great way for collecting these unique souvenirs on a budget. Just buy a small, blank journal and turn decorating it into an activity for the kids. Use Disney stickers, glitter and whatever else their little hearts desire.